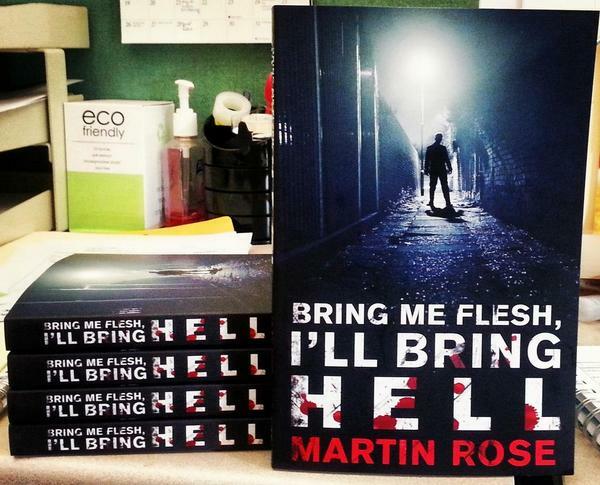 The release date for Bring Me Flesh, I’ll Bring Hell has been pushed back to October 28th and the book has landed at Skyhorse offices, as you can tell from the above pic. The book will be available at Barnes & Noble and other retailers. The audio version from Audible, narrated by Christian Rummel, and the book itself will be available for pre-order, at all the usual suspects. Anyone who has ordered it already should be aware they won’t get it on October 7, since the date has changed.